It’s time I tried another deer head out, friends. Moments after taking this picture I broke the antlers off. Very delicate, this deer. 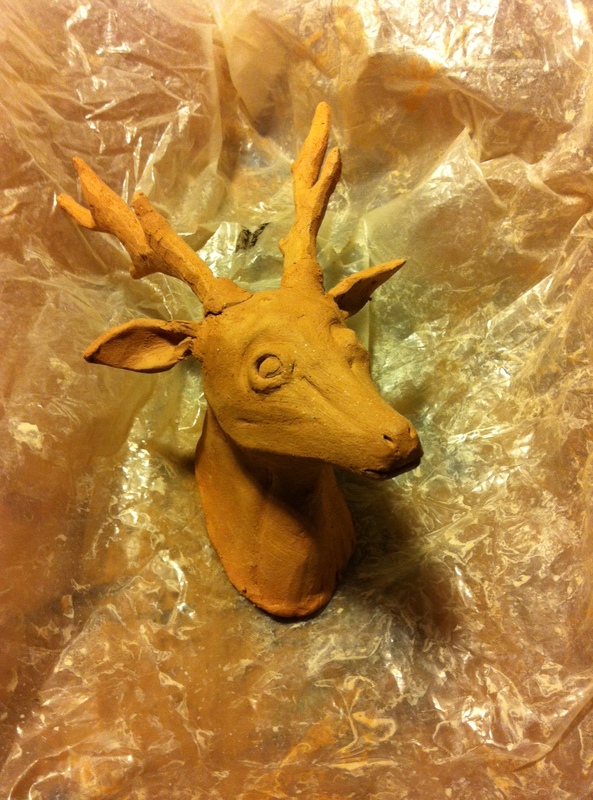 This entry was posted in 2014, art, ceramics, design and tagged animals, antler, cartoons, ceramics, clay, comics, deer, design, drawing, funny, illustration, peter glanting, trophy head by pgglanting. Bookmark the permalink.